Incorporate a touch of traditional style by installing the Daltile Campisi Sable 9 in. x 3 in. 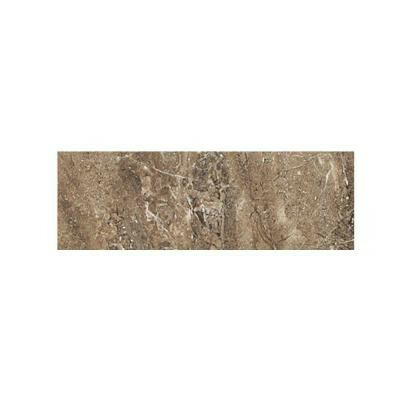 Brown Ceramic Bullnose Accent Tile on the walls and countertops in your living space. This brown-colored tile is made from durable, chemical-resistant ceramic material with a semi-vitreous water absorption rating that makes it suitable for indoor projects. The tile has a smooth, glazed finish and a moderate variation in tone that combine to help create a versatile look to complement your decor. You can buy this product in our internet market. We will be glad if you make the right choice. 0.1875 square foot per piece, each piece sold individually. Piece weight equals 0.72 lb.